Inspired by the botanical ingredients and concoctions of the traditional apothecaries of London, Paul Welburn brings together years of Michelin-quality cooking experience with innovative flavours and techniques. A fan of combining familiar ingredients with creative twists, his take on duck and cherry is taken to another level with crisp, fried confit duck leg croquettes. 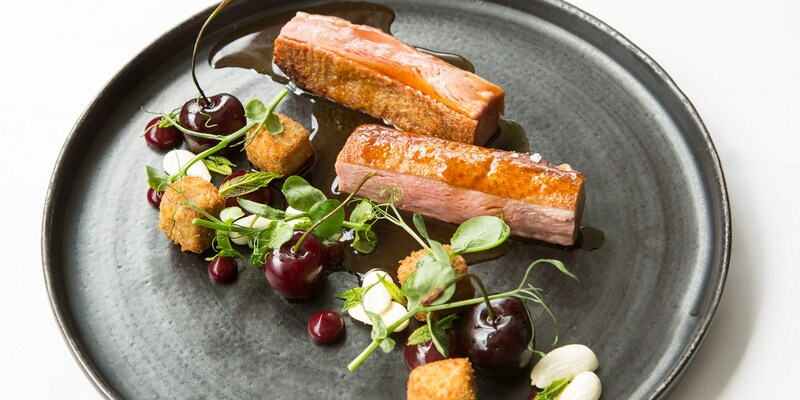 Using slow cooking and sous vide methods allows him to create a wide variety of textures and finishes; from the crispy skin of the duck to the softened, macerated cherries. Many of his dishes are designed for both maximum flavour and visual impact. His octopus and black rice is the perfect example, as the ink-stained rice is juxtaposed with the vibrant yellow of saffron.